I have been dreaming, plotting and writing my WIP for too long but recently, as I stop procrastinating, it has developed its own twists and unexpected characters have turned up. They were not planned but I am happily writing a scene when my MC, Amber looks up and sees a guy larking around and he smiles. That unintended smile has led to him becoming part of her story when he was never supposed to be but it works, I think. A more insistent character, Roo, has squirmed (literally) into a bigger role than planned. He was meant to have a small but significant role in linking the real world of Amber to the fantasy world she finds herself in but he was not happy just being a cameo part; he has demanded more action and with the back up of Amber he is appearing in more scenes, creating trouble but also encouraging the story along. 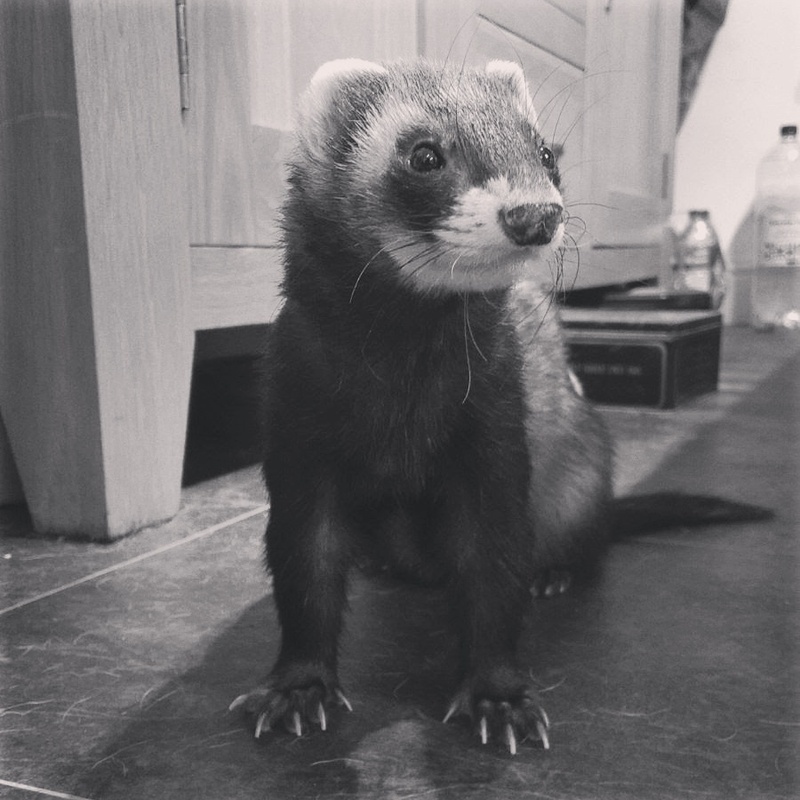 He is a hard character to contain because he is based on our ferret, Randall, who is as demanding and quirky in real life as in fiction. His antics and determination inspire every time he has cuddles, plays and gets into strife. His real life has not been easy after being rescued when we discovered him and his brother (sadly deceased but postmortly named Hopkirk) at the side of a road years ago. The trauma led to him to be agoraphobic for a while and he faces difficult health problems but his grit and zest for life gets him through. He is loyal and extremely affectionate. I hope my depiction of him does him justice and people grow to love him as much as those who know him.